Is There a Knife for That? Let’s talk knives, people. Knives are an integral part of any survival situation or should be. They can be used in many diverse situations and for multiple purposes. There is a knife for just about every task imaginable. So, what is the best knife for survival? If you can only choose one, I recommend a good fixed blade of military heritage. There are many to choose from. At the high end, SOG’s Seal Team knife is a great pick. 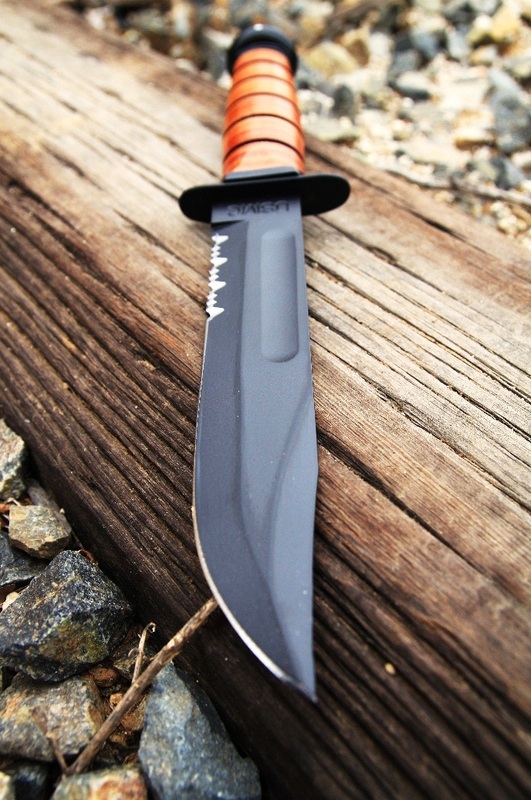 For those who can’t spare a lot of cash, there is the Marine Corps KaBar. I’ve had the same KaBar for 30 years or more. It’s been put through the paces, covered a lot of miles, and handled a variety of uses. In my opinion, the KaBar is a best bang for the buck knife. This entry was posted in Country, DHS, Emergency, God, Louisiana, Military, Nature, Patriotism, Survival, Survivalist and tagged Country, Emergency Survival, Louisiana, Nature, Survival, Survivalist. Bookmark the permalink.